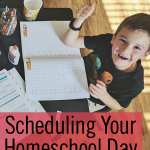 I read this article and wanted to share it with you: Scheduling Your Homeschool Day: 6 Principles That Work https://blog.sonlight.com/scheduling-homeschool-day.html. 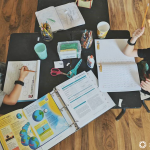 For many homeschool moms, schedule is a bad word, striking terror in their hearts. 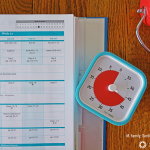 Some homeschool moms feel hindered by the rigidity of a schedule. Some moms simply can’t find a schedule that consistently works for their family, day after day. Some get overwhelmed by the idea of needing an Excel spreadsheet or an elaborate planner to create a perfect schedule. Have no fear! I have a few basic principles that have guided me in creating a workable schedule for my crew, and I’m happy to share. 1. What Kind of Homeschooler Are You This Year? Are you a plow-through type of homeschool family who likes to get school done by noon? Or do you like to take a more leisurely approach, stretching out your day to include several breaks? At my house, we’ve been both because different years have demanded different types of homeschooling. Some years, I’ve powered through our day with an energetic "let's get this done" approach. In other years, I’ve savored the slow flow of a low-key homeschool day. Both are valid approaches. 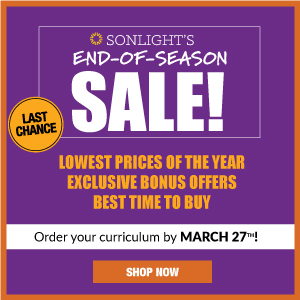 So first, you’ll need to determine what type of homeschool day your family needs now. If you’re a plow-through family, you’ll want to schedule a four-hour window of work each day. 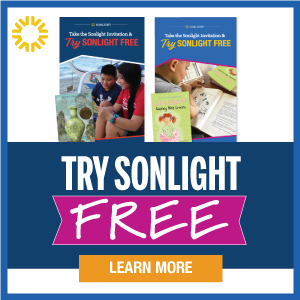 If you’re a leisurely homeschool family, you’ll want to block off anywhere between 6-8 hours a day. Think about what time your family will realistically wake up and get started, and begin your schedule there. 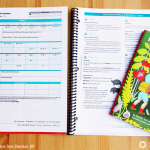 The biggest mistake homeschool moms make is over scheduling based on unrealistic expectations. If your family never wakes before 9 a.m., don’t ambitiously start your schedule at 8 a.m. I prefer to start the homeschool day with Couch Subjects™ because these provide a gentle and natural transition from waking up to learning. I don’t know anyone who wants to wake up and immediately start working. Our kids are the same. We need our coffee, they need Couch Subjects™. Finally, reading together on the couch provides the perfect connection time. 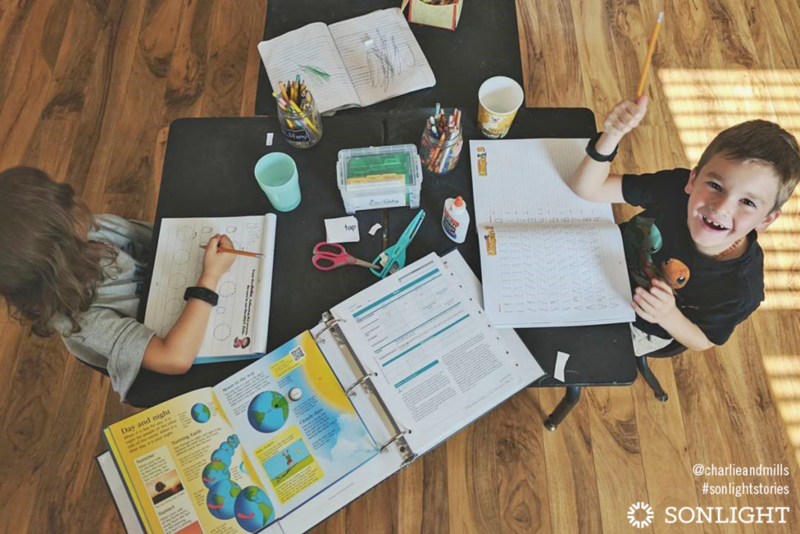 It’s a sacred time of day when the whole family gets together to learn and grow. These hours will be cherished for years to come as precious family memories. What subjects are Couch Subjects™? Of course, you can study anything you want as a family on the couch. But typically these are Bible, History, Read-Alouds, and Science. Give yourself a good block of time for this. My kids range from kindergarten to sixth grade, and we spend almost an hour every morning on couch subjects. I don’t skimp in this area because it’s everyone’s favorite time of day. The best tip I have for teaching multiple levels is to block your time. We have a Math Block and a Literacy Block. During this hour, I rotate kids through in 15 minute lessons in math and language arts (reading, phonics, writing, language arts). In this way, I’m able to teach my Kindergartner through my sixth grader individually. 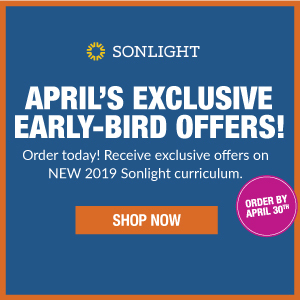 Sonlight calls these skill-based topics the Table Subjects™. 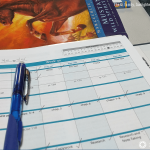 When my children aren’t busy on a lesson with me, they are either doing an independent assignment, a computer game, or a math card game. If you set up a flow and make your expectations clear, you’ll find that the kids catch on pretty quickly, and you’ll be speeding along before you know it. Study after study shows that kids need breaks to move and explore. Even if you are a power-through type, your children will need breaks. Of course it depends on age, but for elementary school age children, I recommend at least a mid-morning break, an after lunch break, and a mid-afternoon break of approximately 30 minutes each. Think efficiency. What is the most efficient use of every part of your day? Can you do a Read-Aloud during snack time or lunch? Do you travel during the day? 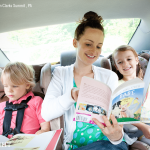 Can you get an audiobook to listen to in the car? Maybe you can do some map work during breakfast. Always think of ways to maximize your school day. I’m a big fan of being outside the box. It’s where the best ideas happen. 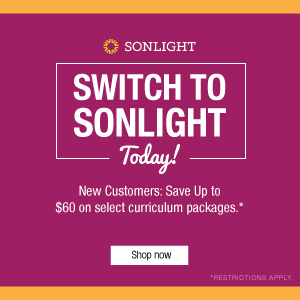 This applies to homeschool scheduling too! Don’t fall into the trap that you have to follow the Instructor’s Guide perfectly. You don’t! Maybe it works better for you to take care of the entire week’s science on Friday. Maybe your children would really enjoy Science Camp in the summer. You might need more flexibility in your daily schedule. If so, consider trying a year round schedule with plenty of breaks. Scheduling can be intimidating, but keep in mind that there’s no one way to schedule your day. Every family is different, and the best schedule is one that works for you.